Ok folks it’s time to get spooky! We have cooked up a cauldron full of fab Halloween projects for you but we promised ourselves we’d hold back until Sept 1st. So, here we are, right on cue, with the first in our range of DIY Halloween goodness. 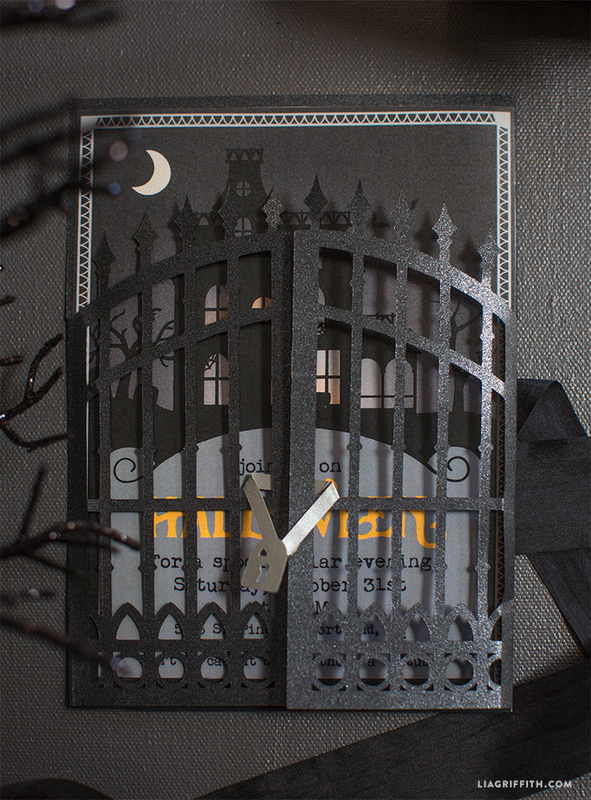 Our Halloween Party Invitations are the perfect project to get you prepared for a ghostly Oct 31st. They are fully editable and printable at home on your cutting machine. 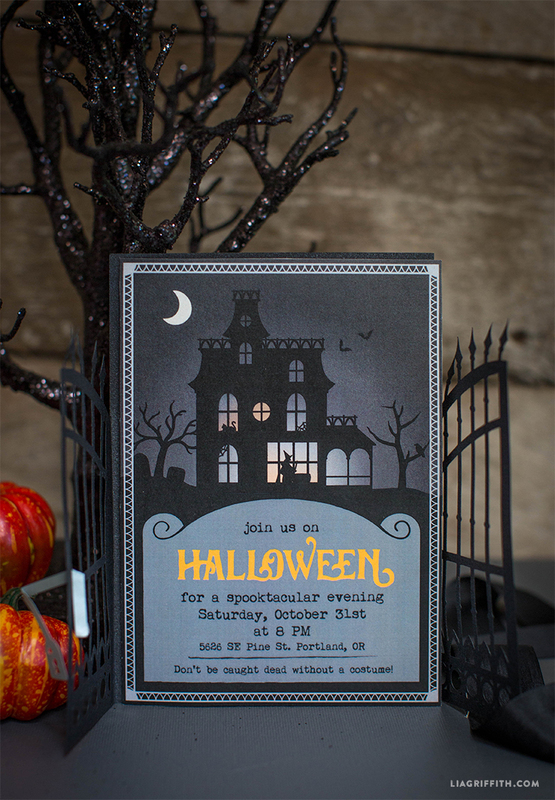 What better way to set the tone for a spooktacular evening at home! 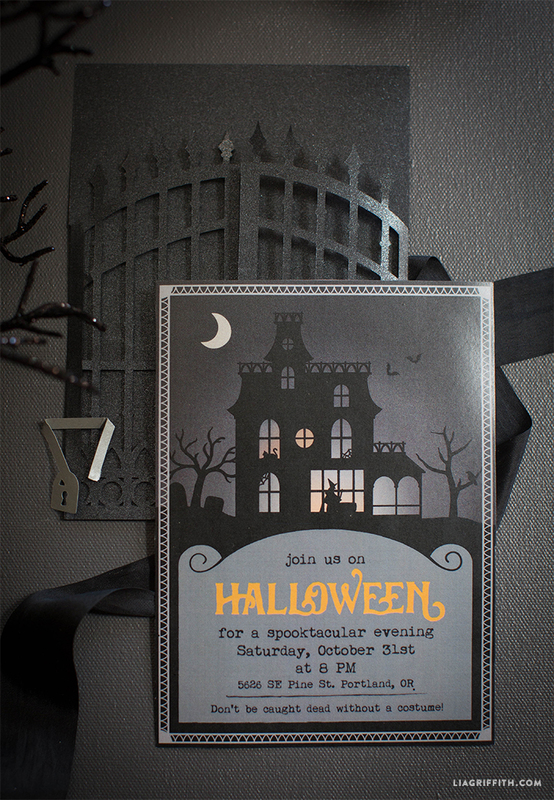 To get your mitts on our Halloween party invitations, begin by downloading the free font My Underwood to your computer. Then open the SVG file below in Adobe Acrobat or Reader and edit it to include your own party details. You are then ready to print the invitation on to regular card stock paper. The paper cut gates are printed separately as a PDF template to cut by hand or even easier, can be cut on your cutting machine into metallic black paper like we did. The design even includes a tiny silver padlock for the gates that can be cut and secured in place with a little glue or tape – how cute? !